An accessible shower offers a user-friendly space with design elements that work for everyone. It has features that support those who walk and those who rely on mobility assistive devices. Design basics for an accessible bathroom focus on ensuring bathers can access items such as controls, shelves, and mirrors with slip-resistant floors and handholds for support. The entrance you create should accommodate walkers, wheeled showers and wheelchairs. If you are working on creating a shower for a specific individual, consider the width of their mobility devices and their maneuvering skills. In mixed-use showers, create an opening that is at least 32″ wide, and add an extra 2″ for showers with doors to accommodate hinges and the door frame. Your choice of a door or a curtain will depend on several factors, such as your budget, privacy, and space. A shower curtain makes for a more accessible entrance; doors create an additional obstacle for the person on the walker or wheelchair to navigate. If you choose to install a door, make sure it opens outwards: if a bather falls in an inward swinging door, their body can block the entrance making it difficult for you to help them up. Additionally, rescue services on a door might require breaking the door, making it more dangerous for the bather. Ideally, consider using a flush, zero-threshold at the entrance; bathers on a walker or wheelchair will have trouble navigating a threshold that is just one or two inches high. If possible, choose a curbless shower design. However, if your floors limit you from installing a curbless shower, keep the threshold at ½ inch or less, with the option of a rounded edge. The accessibility industry provides a variety of shapes and styles for shower seats such as benches, chairs, and stools. Some come in portable designs while others have features that you can use to attach them to the shower’s walls. Wall-mounted shower seats offer more stability to users, while making the shower adaptable to other users since you can install a foldable seat. While working on a wall-mounted seat, consider leaving at least one side exposed to give users easy access. Bench style seats provide a large sitting area with extra space to rest a washcloth or shaving tool. Talk to your construction team to ensure the seat is stable, accessible for those who need to slide off the wheelchair onto the seat and provides extra resting space for other items. Traditionally showerheads may fail to accommodate shower seats and other amenities you will add to the shower. 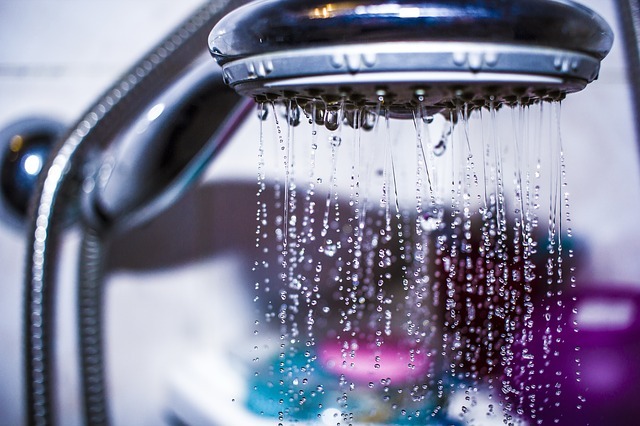 A flexible showerhead makes it easier for users to enjoy their time in the shower; they can use it comfortably to get water into hard to access parts when seated. Position your shower controls within easy reaching distance from the shower seat. Give your users access to the controls from both inside and outside the shower cubicle. This way, users can turn the shower on or off from outside, and control the temperatures or pressure from within. Additionally, think of easy-to-use controls for users with poor hand strength so they can easily use their elbows or wrists when necessary. Think of minimalist storage solutions, such as alcoves on walls to maximize space in the shower. Alternatively, install sliding storage users can bring to their preferred height. Accessibility solutions from Community Renovations can change the quality of life of a loved one and reduce their dependency. Call us today for an accessible bathroom.